Along the backstreets of central Wollongong, you’ll find perhaps the best pizza in town. 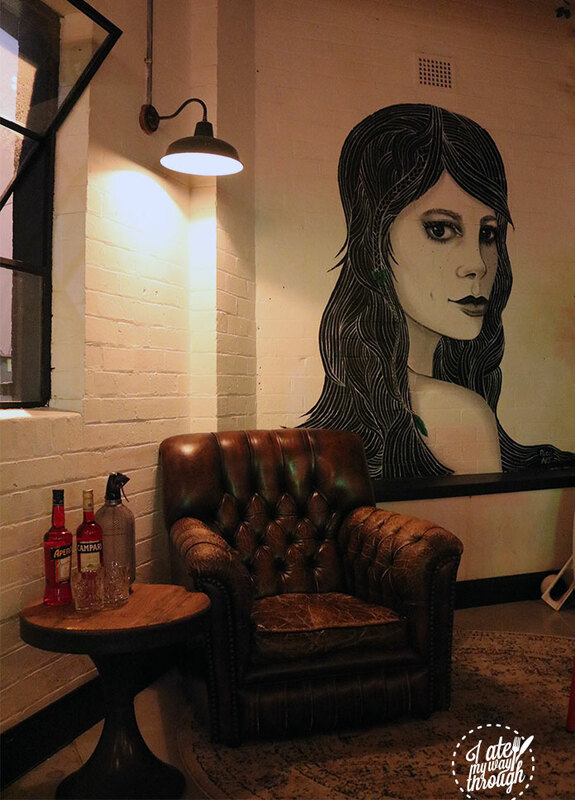 You’d never know that tucked away in this former warehouse lies Kneading Ruby, until you walk by and hear the sound of laughter, clinking glasses and music coming from within. Stepping through the sizeable black wooden door, you are instantly charmed by the modern yet rustic features and tables packed wall to wall with happy patrons sharing plates of gorgeous Italian fare and bottles of wine. Taking a seat in among the vivacious crowd, the first thing to do on a night out is to get the drinks flowing. 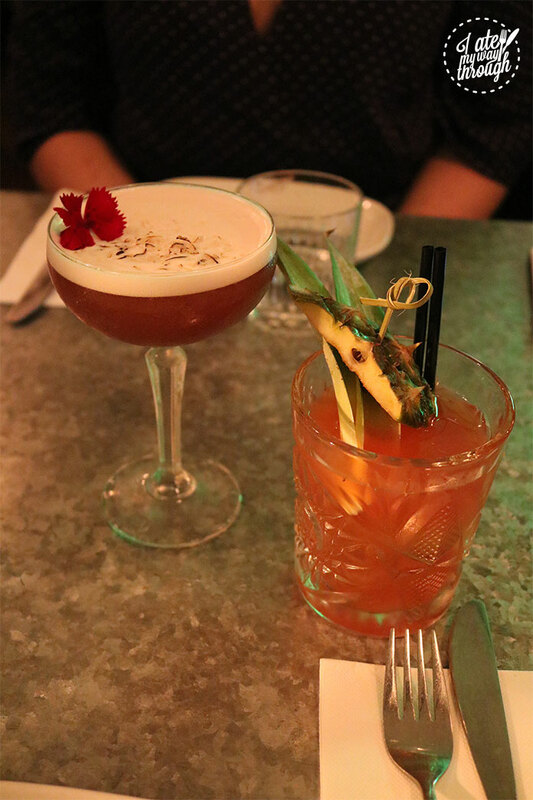 My first choice was the Coconut French Martini ($16), made up of 1800 Coconut tequila, blackberry and pineapple juice. 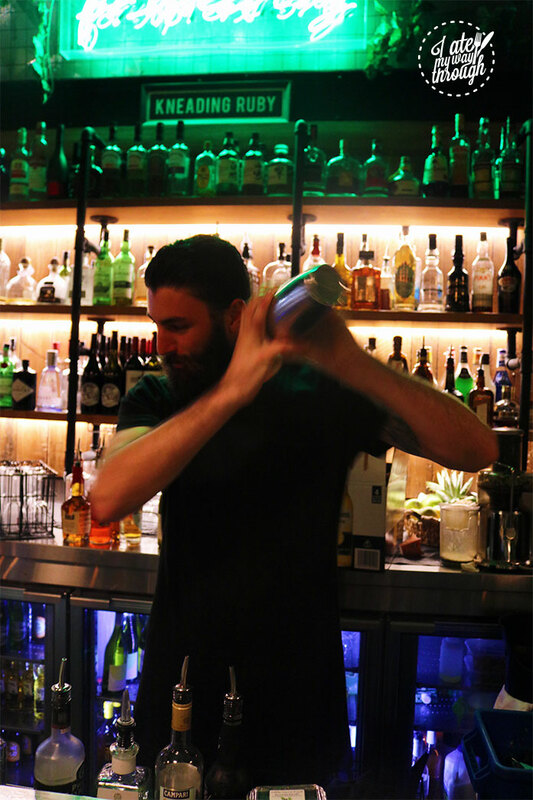 Not being unaccustomed to a French Martini or two, the Kneading Ruby style using coconut tequila was a refreshing take on the classic drink. Other than being one of the most delicate and beautifully presented cocktails I’ve seen, the shredded coconut it is topped with gives a smoky texture to the drink. In terms of flavour, there’s a wonderful balance between tartness and sweetness which comes from the blackberries and pineapple, with a little tequila kick at the end. Next was the Spiced Pineapple Negroni ($16). Made from Campari, Sailor Jerry spiced rum, sweet vermouth and house made spiced pineapple mix, the Negroni could not be more in contrast to the Martini. With strong bitter flavours from the Campari and spice mixture, it is quite enjoyable and a cocktail with substantial taste. I enjoyed the Sailor Jerry rum in the mix. When you go to Kneading Ruby, you simply cannot go past a serve of the house Garlic Bread ($9). Most of the products at Kneading Ruby are house made, including the pizza dough and breads. So to forgo trying this cob loaf, baked in house every morning, would be a real shame. 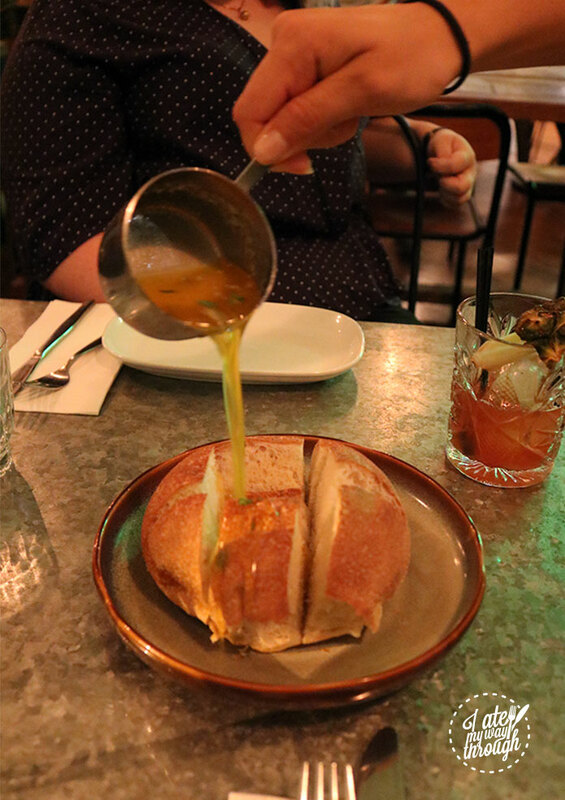 The garlic bread here is an inventive take on the classic garlic bread but instead of making the usual, owner Fred and his brother came up with the idea to serve sliced, warmed cob rolls with melted garlic butter. I feel like the world is a better place for their ingenuity. Like most of their dishes the garlic bread is perfect to be shared with friends, though I wouldn’t blame you if you had one all to yourself. Just don’t forget to mop up all the buttery garlic and herb goodness from the plate. Before filling up on bread, make sure you leave room for a selection of their other dishes too. The best way to experience the dishes at Kneading Ruby is to order a range of plates and share them, which the menu is designed for. Order some small and large plates as well as some share plates or salads to allow yourself to fully immerse yourself in the passion that goes into the food here. For this visit, I ordered the polenta chips from the small plate options, the pancetta gnocchi from the large plate options and the prosciutto and rocket pizza. 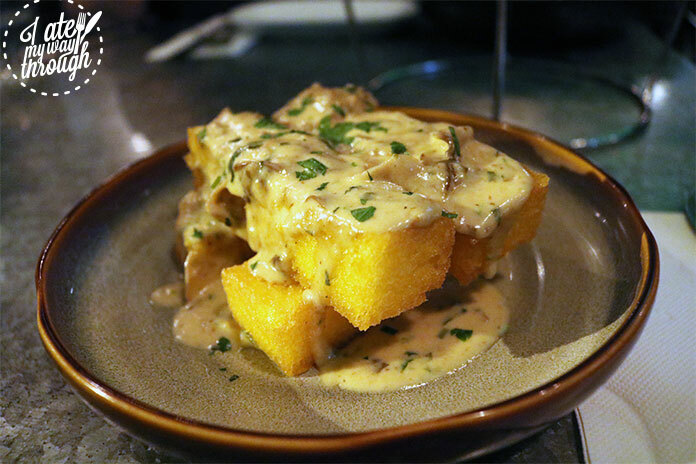 The Polenta chips with mushroom Gorgonzola ($14) are great as an entree or an accompaniment for your meal. I’m always on the search for the best polenta chips in town and these are definitely up there. With a great crunch on the outside and smooth, soft inside you do get a generous amount of polenta but my favourite part is the sauce that they are drizzled in. I’m always a fan of Gorgonzola, but I feel as though the flavours are mild enough to be enjoyed by those who may not enjoy the taste so much as they are carried with the mushroom and cream sauce. Another dish where you might want to keep some garlic bread handy to soak up the leftover sauce. 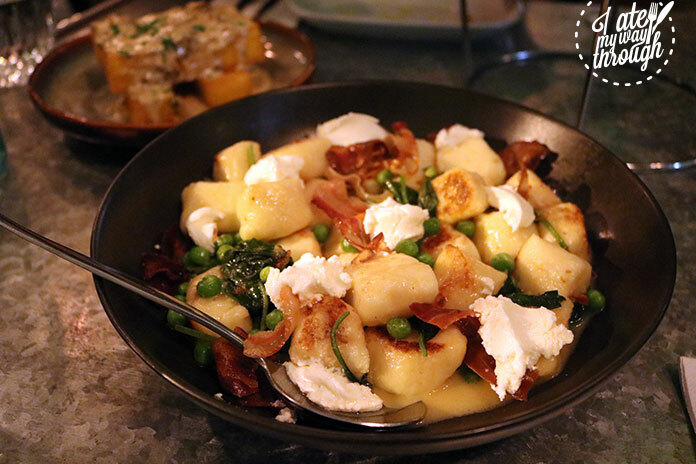 I was recommended by a friend the Gnocchi with pancetta, goats cheese, peas and butter jus ($24) and I’m glad they swayed me. 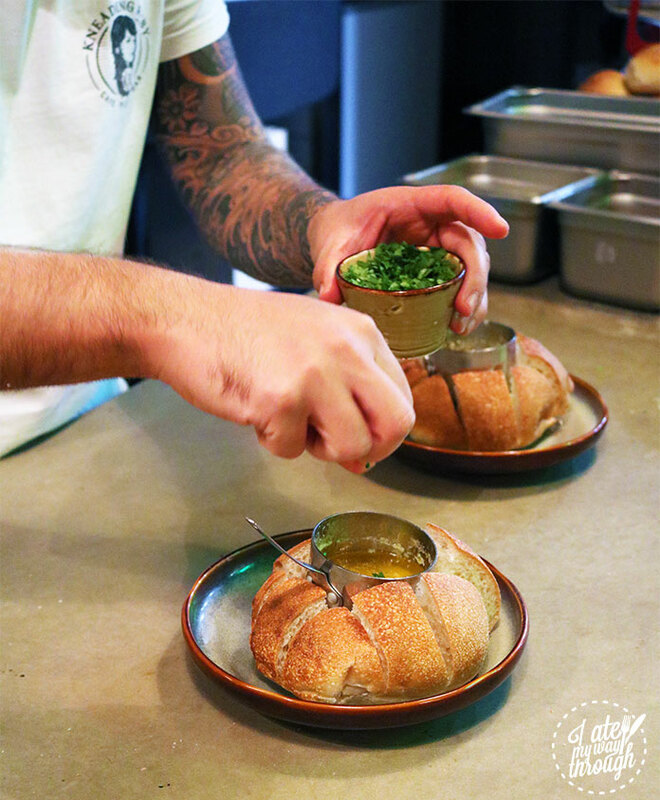 Like the breads, the gnocchi is all hand made at Kneading Ruby. The gnocchi is quite plump, but at the same time it isn’t dense and melts in your mouth. Quite similar in softness, but with a salty taste is the goats cheese. I’m not usually a fan of goats cheese but the flavours worked really well with the sharpness of the lemony butter jus. The crispy, smoky pancetta and fresh snap of the peas bring the much needed bite to the dish and harmonizes the flavours. 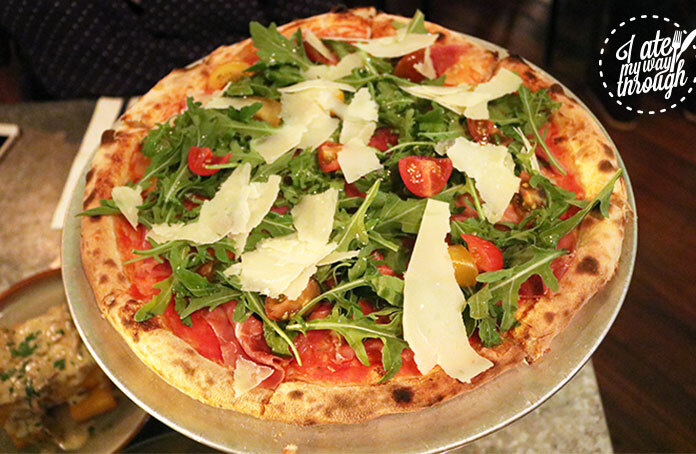 Lastly, but certainly not least, the San Daniele prosciutto and rucola pizza ($22) with cherry tomatoes. This is the type of pizza where you would be content to eat the crust first and work your way in. Although is somewhat of a thin dough, it carries it’s own in terms of flavours. The house made dough, served in a Romano style, is one of the best parts about the dining experience at Kneading Ruby. It’s how you would expect pizza to taste if you were in Italy. On a rich tomato base with thinly sliced prosciutto, fresh rocket, cherry tomatoes and grana, it’s a light pizza which will have your taste buds singing. 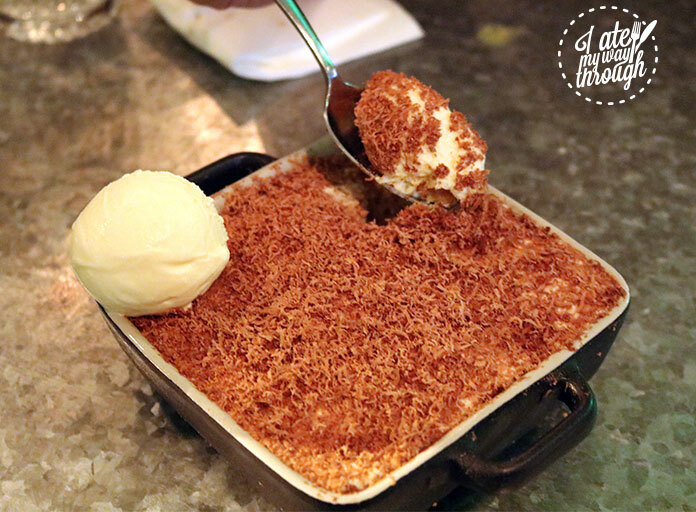 If you still have room left after, the dessert menu is just as tempting as the mains. Tiramisu ($16) is one of my favourite desserts so I simply had to try the one here. The portion is more than plentiful to satisfy two people, but be prepared for some spoon wrestling for the last mouthfuls. The tiramisu is made with layers of Italian savioardi biscuits soaked with All Press coffee, served with whipped cream and chocolate flakes and topped off with a scoop of ice cream. 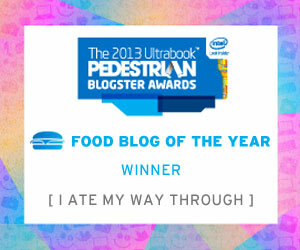 It was a real treat to cap off the dining experience there. 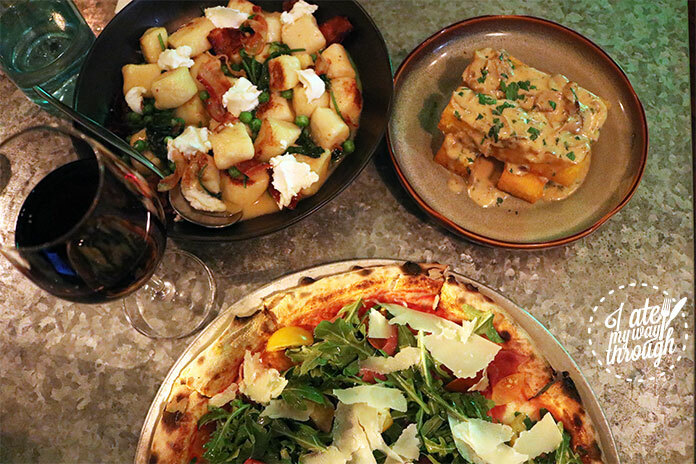 With fresh seasonal produce used in big flavoursome dishes that are made with passion, Kneading Ruby truly does bring the vibrant feeling of an authentic Italian ristorante to Wollongong.